Although initially released back in 2009, WhatsApp has become extremely popular, with 1.5 billion users as of December of last year. The cause for WhatsApp’s popularity is primarily due to the company no longer charging its users an annual subscription fee and is therefore now free to download and use. The application specializes in giving individuals a way to communicate quickly with rapid replies and automated messages. In addition to this, it offers messaging statistics, chat and contact labels, as well as a business profile. This makes it a prime tool for small businesses who want to take their digital communications to the next level. 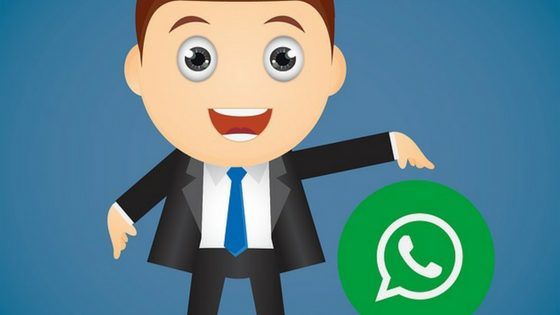 Here are five ways that your small business can leverage WhatsApp effectively. Build Up and Support Your Business Through WhatsApp. You can get pretty creative with WhatsApp and link it hand-in-hand with your business. For instance, local restaurants are using it for food orders, while family doctors use it for medical consultations. Although it’s currently only available for Android operating systems (work for iOS systems is under way), you can explore the current WhatsApp’s Business App here. Use It to Market and Promote. WhatsApp is a strong marketing tool because it offers a one-to-one platform for business to customer (B2C), opening up a direct line of communication. The fact that WhatsApp allows users to send images, videos, audio files, and text messages to others without restriction means that promotional material is more likely to be delivered successfully. As with any other social media platform though, you’ll need to find creative and non-spammy ways to promote your business. Use It as a Customer Support Tool. For small businesses, WhatsApp can be an excellent tool for customer support. Customers who are able to send you a message via WhatsApp regarding an inquiry or problem are much more likely to contact you than they would be if they were required to submit a work order, service request, or trouble ticket. Although this isn’t the most practical solution for larger businesses who receive hundreds or thousands of inquiries each day, it can be a perfect fit for small companies with limited budgets and resources. Communicate with Your Customers on Follow-ups. No customer appreciates calls from unknown numbers, nor do they enjoy long, drawn-out conversations about a past issue they have since resolved. If you follow up with your customers directly through the WhatsApp service using a personal message they are much more likely to respond. Because more and more consumers have come to expect a more personalized experience, this can be a great way to stay in touch with your customer base without being intrusive. Use It as a Means of Internal Business Communication. Although we are well into the 21st century, it is an unfortunate fact that some employees are still resistant to learning modern communication tools – especially those grounded in technology. However, because WhatsApp is so intuitive and accessible, not to mention free, almost everyone in the developed world can easily obtain and master it – making it easy to implement as an internal communication method. An added benefit is that, thanks to its user-friendly design, WhatsApp requires no training for your staff to learn how to use it. All in all, WhatsApp is a powerful communication tool that can be used in creative ways to support and grow your small business. The best thing about it is its cost-effectiveness, and because learning how to use it requires no training, you can implement it into your business strategy quickly and easily.